Those of us concerned with our wellness take care to note our health status, how we feel, how we function, and any symptoms that may come and go. This can become confusing at times as some “symptoms” may be noticed one day only to disappear the next. It is best to pay attention and be mindful of changes in your body, but not every symptom that arises is indicative of a problem. We will begin a new series on our BLOG called Cause for Alarm? to help educate the public about what types of symptoms warrant a trip to the doctor. Q: When is night time urination a cause for concern? Did you drink more than a small glass of fluid late in the evening? Do you have this problem every night? Obviously, drinking too much fluid late in the evening could possibly be a contributing reason. But if you have this symptom every night, it certainly may indicate a chronic issue, especially if the need for waking to urinate exists independent of fluid intake. In general, we expect a healthy individual to be able to sleep all night without the need to wake for urination. However, if you had a 12 oz. glass of water shortly before bed, and you do not have this problem regularly then a single instance of nighttime urination is probably nothing to worry about. Do you need to wake more than one time each night for urination? Do you have the need to urinate frequently during the day (more than every 2 hours)? Does the urine appear very clear like water, and with no apparent odor? Do you have any unusual urgency associated with the need to urinate? Do you have any lack of control of urination? Do you have any back pain, especially a dull achy sensation, of the mid or lower back? Do you have any pain, discomfort, or chilliness down the legs, the knees, or the heels or ankles? Is your energy unusually low? Have you noticed low motivation or a low libido in your life? Do you see any swelling of the lower legs, especially around the ankles? 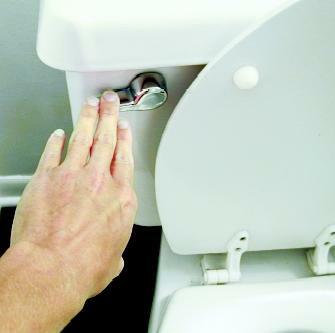 Do you experience a “weak flow” of urine while urinating? The list of questions may be longer depending on what other symptoms or signs we see clinically. Generally speaking, however, if you can say “yes” to any of these questions, then it is suggested to be evaluated for your wellness. Although answering “yes” to any of these questions may not indicate any major disease, they may strongly indicate a trend toward a weakening and worsening of kidney and/or bladder function. Catching this situation early is often treated very easily, and it will noticeably improve one’s quality of life in other ways even beyond controlling nighttime urination. Improved motivation, better energy, feeling warmer and not chilly, a boost in libido, and a generally improved sense of well-being usually come with an improvement of kidney and bladder function. Those positive effects are usually noticed by a patient in the very first week of treatment. If you are concerned that your need to wake nightly for urinating is normal, then take a look at the list of questions above. Answering “yes” to more than one may indicate that having your wellness checked can benefit you. The benefit may be found in reducing the need to wake to urinate, but clinically we find that the benefits of improving wellness in this situation are more far-reaching and easily seen and appreciated by the average person seeking their best health experience.